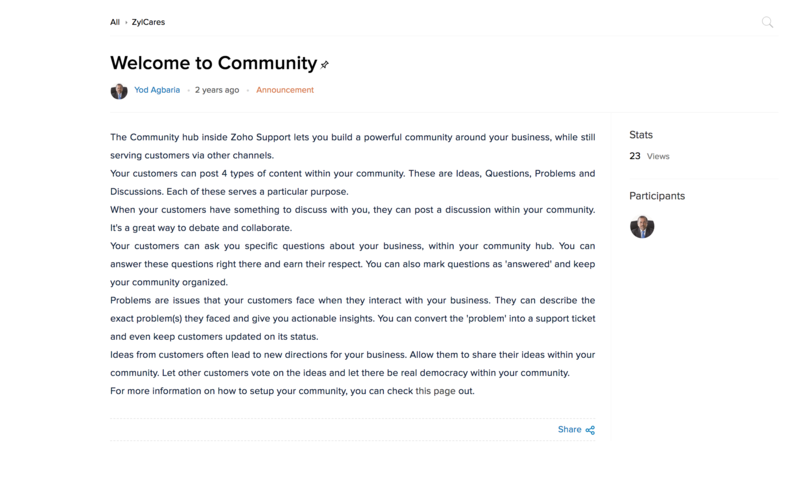 Build lasting relationships with Community, from Zoho Desk. Build a team of customers and enthusiasts who can help each other answer and resolve issues. This reduces the ticket load on your agents and ensures that your customers' questions are heard and answered. With the ability to moderate all community posts, you always stay in control of the content, and reduce spam and unwanted participation. 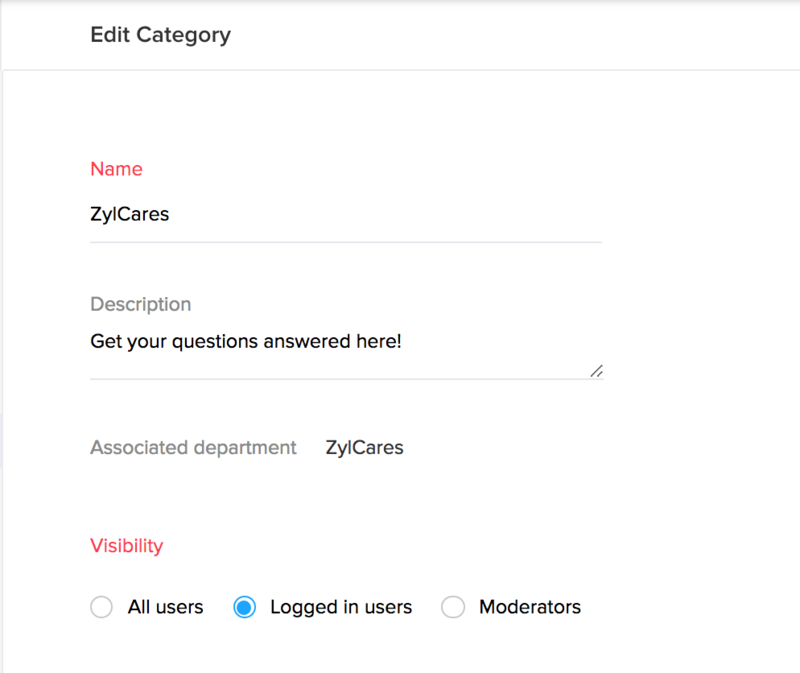 Add as many moderators as you want and stay on top of the discussion in your community. You can open up your community to everyone or restrict it to logged-in users only. You can ensure that your customers' posts are protected and keep your announcements visible to your registered users alone. Use your community to interact and get to know your customers. You can post product announcements or host AMAs, and ensure that your customers identify with your brand philosophy.